Selkirk College first-year student Cyan Lemoal graduated from Castlegar’s Stanley Humphries Secondary in 2018 and was one of the recipients of an Entrance Scholarship that is handed out to high school students throughout the West Kootenay and Boundary region. The School of University Arts & Sciences student encourages other young scholars to apply for the $1,500 award that provides a perfect start to post-secondary. High school students from around the region starting their post-secondary journey close to home have the opportunity to benefit financially with a Selkirk College Entrance Scholarship. 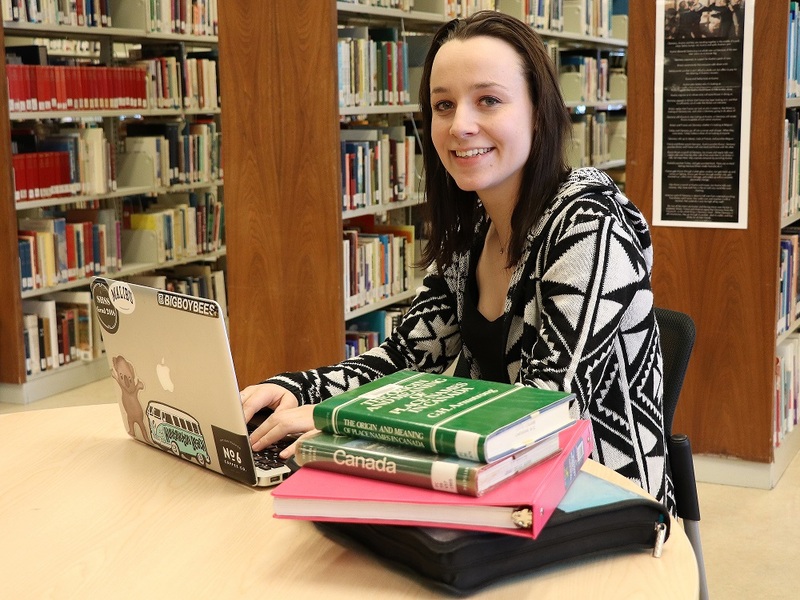 At the start of each academic year, the Selkirk College Board of Governors presents 40 scholarships to high school students and those attending post-secondary for the first time. Each scholarship is worth $1,500 and available to learners who have graduated with a minimum overall average of 75 per cent on select Grade 11/12 courses who plan to study at college full-time. Additional Entrance Scholarships are open to all Canadian residents who have graduated or are about to graduate from high school. Once a student applies to Selkirk College, they can also apply for an Entrance Scholarship. Deadline for applications is March 31, 2019. First-year Selkirk College student Cyan Lemoal received an Entrance Scholarship in 2018. A graduate of Stanley Humphries Secondary in Castlegar, it was one of several scholarships the 18-year-old secured prior to classes starting this past September. Lemoal grew up in Robson and from an early age became involved in volunteer activities. In Grade 10, Lemoal was named Miss Castlegar and her volunteer involvement was amplified as she represented her community traveling around the province. By Grade 12 she was volunteering her time reading to elementary school students, on the Stanley Humphries leadership team, heading up the school’s yearbook, a student representative on the grad committee and peer tutoring. Though it wasn’t her original motivation for getting involved, Lemoal’s work in the community has been an important highlight on scholarship and bursary application forms. Lemoal is the older sister of five siblings, including two-year-old twin girls. Her post-secondary pathway at Selkirk College is leading her towards the ultimate goal of becoming an elementary school teacher. Lemoal has continued to apply for scholarships and bursaries during her first year of college and plans to keep filling out applications until her post-secondary education is complete. Her goal is to graduate with no student loans and the ability to continue to put the primary focus on her education. Out of high school, Lemoal received scholarships from the likes of Teck Trail Operations, Columbia Basin Trust and the Castlegar Lions Club. Besides the financial relief, the Geography major says she feels a sense of strong connection to those who have come to her assistance. Find out more information about Selkirk College Entrance Scholarships and other awards at: selkirk.ca/financial-aid.